LinkedIn is the business networking site with millions of connections and constant activity. Some have taken the facility and run with it, building their profiles, amending them regularly and making sure that the offer valuable insight into their niche. With any network that has grown so fast there are inevitably those who don’t use it properly, and worse, those who use it improperly – to try and hijack your contact list, and to endeavour to make you think you they’re something other than what they really are. Then there are the ‘newbies’ or the ‘I can’t be bothered’s’ or the ‘I don’t know the tricks and tips’ all of whom, with a very little time spent, can learn how to use LinkedIn properly and will surely benefit. But here are 5 reasons not to accept a LinkedIn invitation. Your LinkedIn connections are important to you – don’t give them away. You’re short of time - and you get an invite via email. Don’t ever automatically accept one of these without looking into the profile of the person who has invited you properly at LinkedIn. If you don’t know them personally this may be a spam invitation and there are more and more of those about. Don’t accept an invitation from someone who hasn’t bothered to fill in their profile and summary. How are you supposed to know who they are? And if you don't know, you don't want them as a connection. Think twice about accepting someone as a connection who hasn't put up a profile picture - why haven't they? Look at the number of connections someone has. 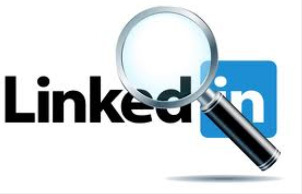 If it's very low it may be totally bona fide and they may be new to LinkedIn. Or it could be, as with Twitter, that they are spammers. Look for the other signs before deciding to connect with them. Consider if they have anything to offer you and your connections, or are they just after yours? If they already are linked to others in your industry and sound interesting to you, accept the invitation. If not, and you suspect ulterior motives, then don't. It's perfectly ok to say no. I had an invitation (which arrived first on my email) by someone recently who sounded perfectly respectable, although not in my industry. As I never accept anyone without looking them up properly on LinkedIn when I went through I saw there was no picture, almost no connections, and no bio or summary. So the moral is never automatically accept. Use LinkedIn and be careful who you befriend. It's worth taking those few minutes to stop and think.